I promised to find good news. It’s not that easy. But – Sir David Attenborough says ’Human activity has created a new era, yet climate change can be stopped. And, again, I am struggling with the reality that it is nearly, perhaps already is, too late, to stop the progress of global warming. Which makes climate change a more urgent problem than the nuclear threat. GREENLAND. 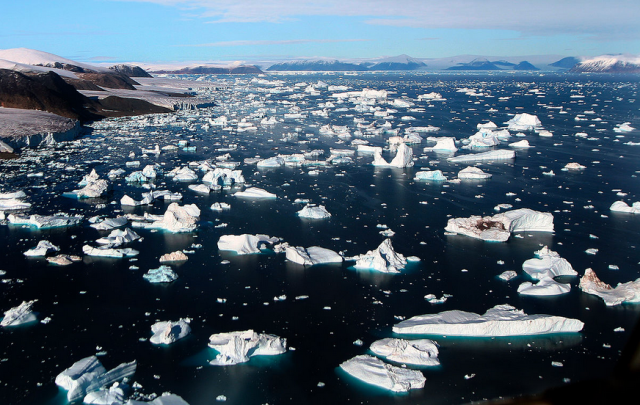 Greenland ice melt is happening at an unexpectedly fast rate. ASIA. The threat to millions of people, as glaciers in Central Asia melt. AUSTRALIA. Australia leads the world in global warming – with the 15 hottest sites. Australia bakes as record temperatures nudge 50C. Australia faces ‘new normal’ of year-round bushfires . Heat in New South Wales – bushfires, health impact, and roads melting. Increasing rate of melting in North American glaciers. USA to begin pullout from Intermediate-range Nuclear Forces (INF) treaty, rejecting Russian offer. How US and China’s African nuclear mission could provide model for disarming North KoreaSC. Trump plans North Korea nuclear summit with Kim Jong Un for February . The Trump administration’s dangerous strategy of provocation – led by John Bolton. The nuclear lobby has “zero chance” of nuclear getting into a Green New Deal in USA. The ‘fatally flawed’ nuclear waste storage facilities at the decomposing San Onofre nuclear site. Federal Plan Could Reclassify Hanford Nuclear Waste — And Leave it in the Ground. rump signs new bill to weaken nuclear energy regulation. USA’s Nuclear Regulatory Commission extending license for Seabrook nuclear power BEFORE THE HEARING ON ITS SAFETY PROBLEMS. NORTH KOREA. Kim Jong Un continuing to play to the vanity of Donald Trump? Britain’s severe nuclear financial headache. UK government’s proposed ‘Regulated Asset Base’ (RAB) financing – a cover-up for a nuclear bailout. Costly saga of Hitachi nuclear power project in North Wales comes to an end. UK Secretary for Energy reveals the staggering amounts of tax-payer money offered to Hitachi to build nuclear reactors in Wales. Why the UK government is losing its enthusiasm for nuclear power. Dungeness B nuclear station – safety problems, reactors still shut down. Wind energy ready to supply UK electricity: time to remove the ban on onshore subsidies. Renewable energy can replace UK’s Moorside, Wylfa and Sizewell C nuclear power at a much cheaper cost. Offshore wind leads, as UK’s renewable energy is on course to overtake fossil fuels. UK govt’s plan to let down solar householders has not gone down well. UK government waits for nuclear test veterans to die, prevents research on genetic effects. TAIWAN. The pitfalls of Direct Democracy- Taiwan’s referendum and the vote on nuclear power. ISRAEL. Super Weapon: Israel Could Arm Stealth F-35s with Nuclear Weapons. Secret Handwritten Memos Reveal How Israel’s Nuclear Program Came to Be. JAPAN. High radiation levels in Fukushima area, but the Japanese government is pushing people back there. Time to retire Japan’s aging nuclear reactor at Genkai. Nagasaki: Life after Nuclear War – the past and the future. RUSSIA. Russia’s plans for nuclear-powered unmanned underwater weapons. CHINA. Pentagon report on China’s nuclear weapons program, still “significantly below” the U.S. Concerns about safety of China’s planned 46 nuclear reactors within a radius of about 100 km from Hong Kong and Macau. Chinese residents concerned over imports of rice produced near Fukushima disaster area. GERMANY. Germany urges Russia to destroy missile to save nuclear treaty. FINLAND. Wild mushrooms in Finland still containing high radioactive cesium from Chernobyl nuclear accident in 1986. David Attenborough tells Davos: ‘The Garden of Eden is no more’Human activity has created a new era yet climate change can be stopped, says naturalist, Guardian, Graeme Wearden in Davos, Tue 22 Jan 2019 Last modified on Tue 22 Jan 2019 Sir David Attenborough has warned that “the Garden of Eden is no more”, as he urged political and business leaders from around the world to make a renewed push to tackle climate change before the damage is irreparable.Speaking at the start of the World Economic Forum (WEF) in Davos, Switzerland, the 92-year-old naturalist and broadcaster warned that human activity has taken the world into a new era, threatening to undermine civilisation. “I am quite literally from another age,” Attenborough told an audience of business leaders, politicians and other delegates. “I was born during the Holocene – the 12,000 [year] period of climatic stability that allowed humans to settle, farm, and create civilisations.” …..
“We need to move beyond guilt or blame, and get on with the practical tasks at hand.”…..
Nuclear-powered Royal Navy submarine in near-miss with ferry ITV News 21 Jan 19, A nuclear-powered Royal Navy submarine was involved in a near-miss with a large passenger ferry, it has emerged. “……… New analysis by the environmental think tank highlights myriad benefits for the UK from trade in electricity with European countries, but warns leaving the EU – particularly under a ‘no-deal’ scenario – threatens to undermine opportunities to enhance cross-border interconnection. Published on Friday, the analysis shows that a mix of increased electricity interconnection with the EU in addition to installing more renewable energy in the UK would help to keep consumer bills down, boost access to and trade in clean power, and also maintain energy security, in the face of on-going struggles to deliver planned new nuclear projects. It follows Japanese firm Hitachi’s announcement last week that it has halted construction of the £16bn Wylfa nuclear project in Wales after failing to agree a funding support package with the government. Hitachi’s plans for another nuclear plant in Gloucestershire have also been shelved. Green Alliance said trading power across borders with Europe could help reduce energy sector emissions in the short term without the need to build more capacity, and that interconnection could also help provide instant back up power when needed at peak times. It also highlights the economic benefits of interconnection, with cross border trading delivering a combined value of £700m to UK markets in 2017, according to Friday’s analysis. However, leaving the EU without a deal could cost the UK as much as £2.2bn per year at the current level of interconnection, the think tank warned. Similar research by climate think tank E3G recently argued the merits of the UK maintaining membership of the EU internal energy market in order to fully realise the cost and carbon benefits of electricity interconnection with Europe. At present, the UK is one of the least interconnected countries in Europe, and it therefore has the most to gain from improving its power connections with the rest of the continent, argued Chaitanya Kumar, senior policy adviser at Green Alliance………. In the short term, Kumar suggested boosting interconnection could help strengthen the case for scaling up UK renewables capacity, and that negotiating continued participation in the EU’s internal energy market should therefore be a crucial part of the UK’s future relationship with the EU, particularly as the government’s nuclear energy plans “are crumbling”. The report follows news last week that plans for a new interconnector between Peterhead and the Norway took a step forward, after securing planning permission from Aberdeenshire Council. The North Connect transmission link would see a 415-mile cable link Peterhead with the Norwegian Coast, providing up to 1.4GW of power between the two countries from 2023. China’s largest state-backed nuclear company is in talks with Rolls-Royce about supplying equipment for the power plant it hopes to build in Essex as it seeks to allay national security concerns about the project. CGN is in discussions with the British engineering group over providing the control systems for the Hualong HPR1000 reactors the Chinese group plans to install at Bradwell on the Essex coast. Regarded as the central nervous system of a nuclear power plant, this technology not only drives the operation of the reactor, but allows it to be safely shut down should problems occur. Using the British group’s equipment would be a significant concession by CGN. The Chinese group has developed its own control systems which it hopes to export along with its reactor technology. But the move is seen as a necessary sop to ease concerns about Chinese companies building critical national infrastructure in the UK. Britain’s nuclear programme is in disarray following Hitachi’s decision last week to shelve plans for a £20bn power station at Wylfa in Anglesey after financing plans for the scheme unravelled. That came two months after Toshiba pulled out of another project in Cumbria. The latest withdrawal leaves just EDF and CGN as potential bidders for new nuclear projects. The two companies are linked. The French group is building the Hinkley Point station in Somerset with financial backing from CGN. Theresa May’s government has been less enthusiastic about Chinese investment than her predecessors, and Washington has raised concerns about Beijing taking civilian nuclear technology and transferring it to military uses. Various countries have barred Chinese suppliers from telecoms and energy markets over fears that “backdoors” could give the Chinese government access to data or control over the equipment. ……. Once again, there is plenty of wishful thinking. Indeed, policy has been driven largely by a series of optimistic guesses. These include not just the cost of new reactors, but also the willingness of private capital to fund them without assistance from the state. ……. again there are multiple reactor types. Repurposing often almost untested equipment for UK safety rules means that each starts from scratch with its own prototype, learning as it goes along. Add the need to fund these “first of type” schemes with private capital and it’s not surprising that projects have been falling by the wayside. Toshiba pulled out in November and, last week, Hitachi shelved plans to install its boiling water reactor technology at a promising site in Anglesey, having spent £2bn just getting to the start line. The result is that a decade in, Britain has just one project under way — at Hinkley Point in Somerset — for which the government has struck an eye-wateringly expensive contract. The owner, EDF of France, is now saying it could do subsequent projects cheaper, because it will have the Hinkley experience to draw on. But given the absence of competition (the only other participant left in is CGN of China, EDF’s partner at Hinkley), the government faces the unpalatable prospect of a series of potentially disadvantageous bilateral deals. The UK originally set a target of about 18GW of electricity coming from nuclear by the 2030s. This has since been reduced to about 12GW. With only Hinkley and an ageing Sizewell B likely to be in operation, just 4.4GW of that target is likely to be met. ………. Removing complexity (and wishful thinking) doesn’t come without cost. The government would have to acquire the necessary sites and assist bidders to get them to the start line. (Abu Dhabi cut some corners the UK might balk at, such as accepting the supplier’s home country safety accreditation). It means the government acting as owner, committing to fund construction itself rather than going through complex contortions to attract just a sliver of risk-bearing equity. There may not be the political willpower.